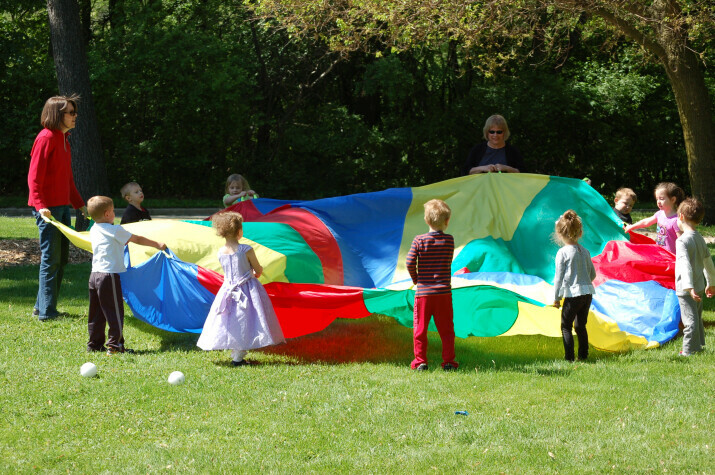 St. John’s Preschool provides the three to five year old child with an opportunity for education in a loving Christian environment where children learn about God and the world around them. Children are encouraged to develop the social, emotional, physical and cognitive skills necessary for a successful transition to kindergarten and beyond. A DCFS accredited school with a 7:1 child/teacher ratio. Teachers with 4 year degrees who are CPR and First Aid certified. Learning Centers that foster the development of letter recognition, math and counting, handwriting, creative art, music, beginning Spanish, and small and large motor skills. We welcome all who are interested to contact our program director at 630-355-1669. For more information you may also check out our website at www.stjohnspreschoolnaperville.org. We offer regular preschool classes for 3 and 4 year olds, as well as art, science and literature enrichment classes for pre-K children. Preschool registration for the 2018-2019 school year begins on January 16th for parishioners. Please click here to view and print the forms. The Preschool Board sells Manna cards as a fundraiser for our Preschool. “Manna” are gift cards that we purchase at a discount and sell to you at face value. The difference is our profit. These gift cards can be used like cash in many grocery stores, gas stations, retail stores and restaurants. They also make great gifts. We have a table in the parish hall on the first Sunday of every month, during the parish breakfast. Bring your checkbook on those days and help us out!